Chicago —(ENEWSPF)—April 24, 2017. Attorney General Lisa Madigan today joined with 20 attorneys general and the Office of Consumer Protection of Hawaii calling out the U.S. Department of Education for abdicating its responsibility to millions of student loan borrowers and their families by revoking critical reforms designed to help borrowers avoid default and curtail loan servicer misconduct. Madigan along with the other attorneys general and the Office of Consumer Protection of Hawaii sent a letter to Education Secretary Betsy DeVos opposing the Department’s rescission of guidance to protect student loan borrowers and reform the student loan servicing industry. Last year, in the wake of Attorney General Madigan’s investigation of Navient, the Department of Education issued guidance for the student loan servicing industry. The guidance required student loan servicers to inform struggling student borrowers about the availability of affordable income-based repayment plans. Madigan has since filed a lawsuit against Navient and its predecessor Sallie Mae for the companies’ widespread failures and mistreatment of student loan borrowers. The Department of Education’s reforms addressed many of the findings of Madigan’s investigation into Navient by ensuring that student loan borrowers got accurate information about their loans and repayment options. The reforms also ensured consistency of service, increased servicer accountability, and enhanced transparency by student loan servicers. Critically, these reforms aimed to improve borrowers’ access to affordable loan repayment plans designed to help borrowers in distress avoid default. Now the Department’s action will instead leave student loan borrowers vulnerable to poor practices and abuses that the servicing reforms were designed to stop. 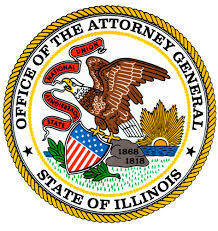 In the letter, Madigan and the attorneys general state the reforms are critical to helping borrowers who are struggling under the weight of their student loan debt, evidenced by an increasing rate of federal student loan defaults. In 2015, the Consumer Financial Protection Bureau estimated that more than 25 percent of student loan borrowers were delinquent or in default on a student loan. “Many such borrowers would benefit greatly from entering income-driven repayment plans but are prevented from doing so by student loan servicer misconduct and misinformation,” the letter states. Joining Madigan in sending today’s letter are the attorneys general of California, Connecticut, Hawaii, Iowa, Kentucky, Maine, Maryland, Massachusetts, Minnesota, Mississippi, New Mexico, New York, North Carolina, Oregon, Pennsylvania, Rhode Island, Vermont, Virginia, Washington, and the District of Columbia, as well as the Executive Director of the Office of Consumer Protection of Hawaii.